I got an assignment from the Milpitas Post recently asking me to get some shots of the sole winery in Milpitas, Big Dog Vineyards, for an upcoming story. 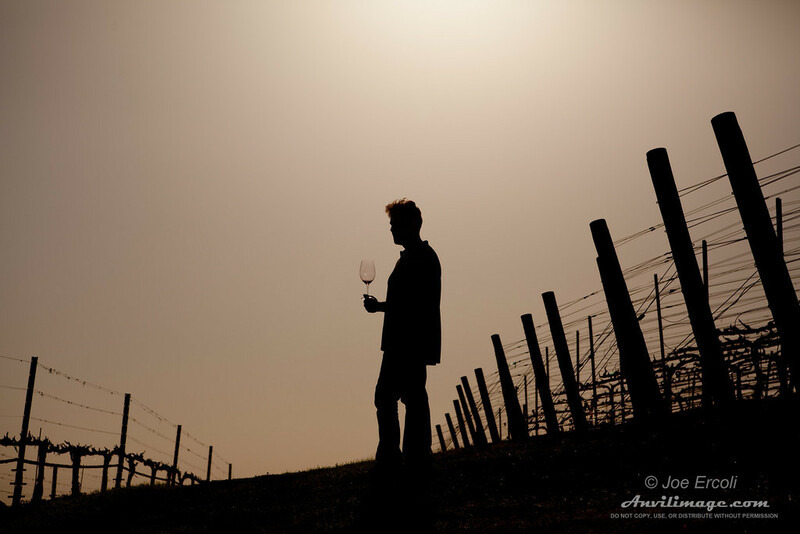 With the spring-time on again/off again weather we have been having here in Northern California , Mark Capalongan (owner of Big Dog Vineyards) and I took a gamble scheduling our time for a photo shoot nearly a month in advance. We lucked out and the weather was on our side rewarding us with perfect afternoon conditions. 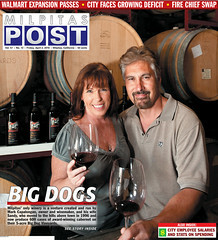 As we started my tour with a stop in the tasting room, I got a shot of Mark and Sandy that made the cover for this issue. After a couple more shots and a little wine tasting we continued from there with a walk around the vineyard where I could get right into the rows and shoot sweeping vistas of the entire property. If you’re ever looking for inspiration, I don’t know how you could go wrong here although their wine may have helped with that, too! As I found before, walking the rows of vines with my camera in hand and doing a little wine tasting was the perfect way to end the day. Click here to see the full article that appeared on the Milpitas Post and the rest of the photos from the article. This entry was posted on Tuesday, April 13th, 2010 at 2:28 am	and is filed under Blog, News and tagged with commercial, cover, newspaper. You can follow any responses to this entry through the RSS 2.0 feed.